State Systems is a proven leader in the analysis, design, installation, and maintenance of a full range of low voltage electrical systems. Our technicians are NICET and NSCA certified. They understand the complexity and intricate details required to engineer a wide range of electronic systems. Whether you need a NFPA 72 compliant fire detection and mass notification system, an intricate high definition closed circuit surveillance system or an access control/card reader system to monitor and control sensitive areas of your building or campus, we have the knowledge, talent and equipment to be your primary service provider. We are able to fully accommodate your low voltage electrical services and needs by providing you with a full line of products and services related to electrical systems, offering service and maintenance on these low voltage systems as well as system design capabilities. We service the entire Mid-South, including Tennessee, Arkansas and Mississippi. Fire Alarms – no matter what type of business you run, it is mission critical that you have fire alarms installed. Call State Systems to equip your building with an NFPA compliant fire detection and evacuation system to keep you and your employees protected at all times. Whether you need ionization, thermal detection or smoke detecting fire alarms, State Systems has the right fire protection solutions to make sure your employees are able to successfully evacuate your building in the event of an emergency. 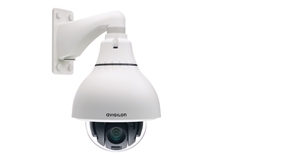 CCTV – if building security is a priority for your business, call State Systems to install a closed circuit surveillance system. Whether you need just a few cameras that record to a DVR or a complex, multi-camera system that connects to the internet so you can watch remotely, State Systems can keep your building safe 24/7. Nurse Call Systems – if you run a hospital, nursing home or assisted living facility in the Mid-South, you know how important it is for your residents to have access to nurses and assistants at any time, day or night. 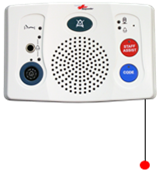 At State Systems, we can install wireless emergency nurse call systems in your hospital or assisted living facility to make sure your residents will be safe and comfortable 24 hours a day. Access Control/Card Reader Systems – Whether you operate a business, an apartment complex or a medical facility in the Mid-South, you can never be too careful with your security. That’s why State Systems offers the latest in access control system and card access system technology. At State Systems, we design your access control systems with maximum security as well as maximum control in mind. With just a web browser, you can add, delete or modify employee access cards and badges as well as perform a variety of manual operations, including enabling or disabling doors and activating or deactivating relay-controlled equipment. State Systems also offers complete systems services on all of our products. We are able to offer a full range of maintenance and repair options to our customers, such as 24/7 service support and electronic service tickets to ensure you are taken care of around the clock. We also offer building owners and property managers a number of inspection and testing services for all of our low voltage communications products. Our Building Reports online inspection reporting software ensures you receive accurate and verifiable results with intelligent reporting of comprehensive data on every device inspected, as well as online accessibility of your building inspection reports on a secure server, allowing you to rid yourself of cumbersome paper reports which are difficult to decipher and interpret. State Systems is also an FM listed alarm service company, which ensures our testing services are of the utmost reliability and quality, and we offer both FM and/or UL monitoring services of your alarm system as well. In addition to our other areas of expertise, State Systems also offers design and consulting services for emergency planning, risk analysis, and fire protection. We also provide CAD design services, design support for low voltage electrical systems, as well as classroom and on-site industry training. We also host quarterly lunch and learns on a variety of industry related topics, both in our facility and throughout the community. For more information about our low voltage systems, products and services or for a quote, contact us today!